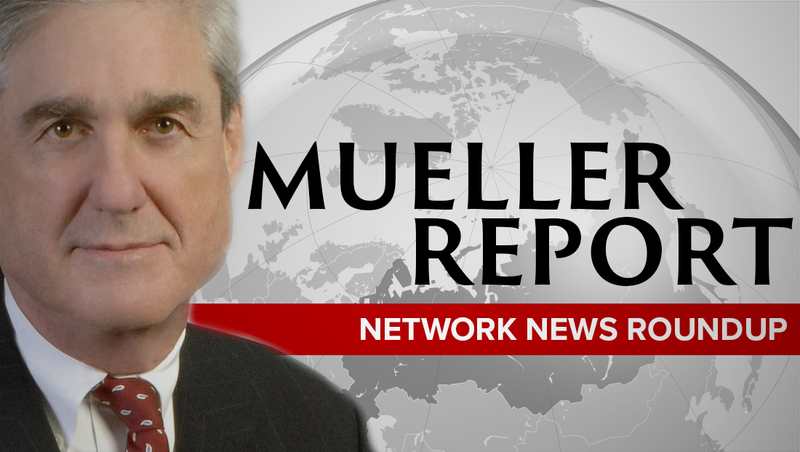 All three of the U.S. big three networks lead with the Mueller Report being sent to the Justice Department Friday, March 22, 2019. Since the report itself wasn’t expected to be made public, the networks were left to rely heavily on B-roll, still imagery and fullscreen graphics to tell the story. Many of the graphics appeared to be heavily composited and have likely been prepared, with “holes” left for new information and imagery to be quickly swapped in when the report was released. For example, many of the graphics featured an image of the letter sent to Congress — which could have easily been “popped” into the sequences. “NBC Nightly News” added the red breaking news third tier to its lower thirds and relied heavily on what appeared to be pre-produced animated infographics. It did not, however, use the unique background and logotype it users shortly before when breaking in for a special report. Most of its graphics did use, however, the Russian and American flag motifs with ragged edges and texture. “CBS Evening News” stuck to its gray-blue look, including adding a match third tier flag to the top of its lower thirds. On-set graphics also matched the look. The look was also used throughout the animated infographics, making the network’s coverage the most consistent from a visual standpoint. “ABC World News Tonight” used its normal backgrounds and kept fullscreen graphics simpler — often with just text and photo. During tosses between the studio and field reporters, however, the network did use the serif logotype it used earlier in the day for its special report.